In this hectic lifestyle, it is becoming increasingly difficult for people to stay fit and in shape. To maintain the body weight, health freaks are passionately following a unique high-fat, low-carb ketogenic diet which is popularly known as keto diet. The sole purpose of this diet is to let your body reach a state called ketosis, where it will not be consuming carbohydrates, but fat, for fuel. This diet requires you to get a major share of your daily calorie intake from fat and the rest from protein and carbs. But preparing such a diet plan tracking every bit of it is a daunting task. 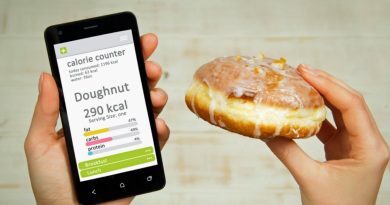 In order to help you with this, we have cherry-picked six keto-focused applications that are best innovations by healthcare app developers, which is helpful in precisely tracking your food intake, producing accurate shopping lists, and planning meals so that you can easily tone down your body and remain fit forever. It is an ideal keto app specifically for beginners. It offers all the basic recipes which help users prepare low carb dishes for them. KetoDiet allows you to easily track your food intake and keep an eye on your body weight. Also, it comes fully loaded with different educational resources that help beginners to follow the diet properly. You can enjoy this exclusive app either on iTunes or Google Play at a cost of only $8.99. It has a keto starter comprehensive guide as well as healthcare news that you can go through and understand the core guidelines to let you understand the nuances of the diet, its benefits, consequences, side effects, etc. 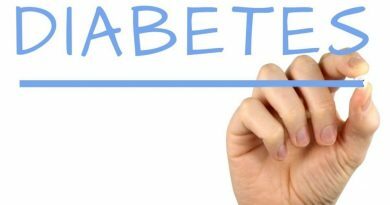 In addition, you are also provided with a unique calculator which help you in measuring how much protein, fat, and carbs your body exactly need to stay in the state of ketosis. This app is best for people who are new to meal preparing. It is power-packed with lots of cooking videos that train you to master low-carb cooking. Low Carb also allows users to prepare shopping lists so that to purchase products and food items in accordance with the diet plan. In addition, it also lets you plan your meals and intake calories as per your diet. Also, you can easily track calorie intake on a per day basis and monitor how this diet is impacting your body. This app is easily available on iTunes and Google Play. The basic version comes for free with in-app upgrades. This app comprises a vast database showcasing more than a million food items. This makes it easy for the users to find an item of their own choice. Also, Carb Manager provides users with over 350,000 low-carb recipes that they can easily cook and enjoy whenever they crave for. This app allows you to track your body weight and measurements so that you can keep a check on your progress. Also, it’s extremely easy to monitor your routine exercise with this app that lets you fit in every attire which is there in your wardrobe. This app is exclusively built to let users personalize and chalk out their specific goals based on weight loss, maintenance or gain. This allows them to intake the best proportion of carbs, fat, and protein required for the same. Keto app comes with a comprehensive food library which has a list of carb count for food items that may put you out of the current state of ketosis. By evaluating the details, you can easily avoid eating such dishes. You can easily get the basic version of this app on Google Play or iTunes for free which lets you track five foods per day. Senza is a Keto app which is perfect for beginners that helps them in exploring the diet in an efficient manner. The app offers a five-day starter guide and a macro calculator which acts as essential tools to determine fat, carbs, and protein needed to stay in ketosis. One unique feature of this app is that the users can get personalized food recommendations based on the vital stats of their bodies. Also, they can consult with a keto-knowledgeable nutritionist and clear their doubts instantly. The best thing is that this app is available on Google Play and iTunes for free. This app is fairly new in the market as it gets launched in March 2018. This app is a one-stop solution for all your keto needs. It features several keto recipes, guides, relevant shopping lists, and keto food items. Also, it has hundreds of informative articles to keep users updated on the ketogenic diet and lifestyle. The best feature of the Total Keto Diet app is its library which is getting updated on a continuous basis. Also, it allows the users to share their own recipes that can be shared in the library. It offers an exclusive keto calculator and macros tracker which are extremely helpful in tracking and monitoring daily calorie intake. These keto apps are best in quality and performance. Also, they are highly reliable and useful for people who want to explore more about the ketogenic diet. These apps are powerful tools that let users easily track their calorie intake and macros. In addition, they facilitate smooth monitoring of users’ progress which helps to cross-check if the diet is working for them. In a nutshell, these apps are like a boon for the health freaks who want to maintain their body weight and fitness level.